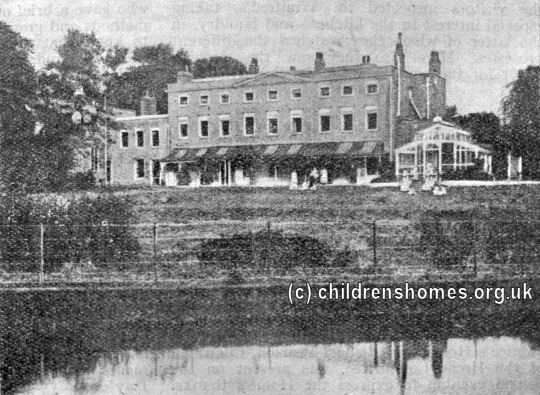 The Halliwick School for Girls opened by the Waifs and Strays Society in 1927 at 'Halliwick' on Bush Hill Road, Winchmore Hill. The home was originally founded in 1851 by Mrs Caroline Blunt in Marylebone. Because most of its residents had been physically disabled, the establishment had become known as the 'Cripples' Home'. It had moved out to Winchmore Hill in 1911. 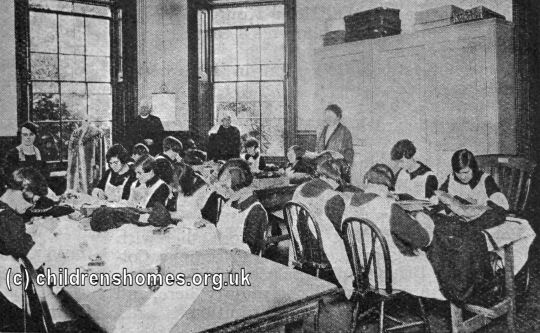 The Halliwick School (or 'Cripples' Home for Girls' as it was called at the time) was officially re-opened on October 20th, 1927, with the Bishop of London conducted a ceremony of dedication. The home, which could accommodate 56 girls aged from 8 to 16, was certified as a Special School for the disabled. All the girls attended school until they were 16 and the older ones also learned dressmaking, needlework and embroidery. On leaving the home, the girls were helped to find employment as dressmakers or, in some cases, would be able to maintain themselves working privately at dressmaking. Outside activities, for those able to participate, included rounders and netball. 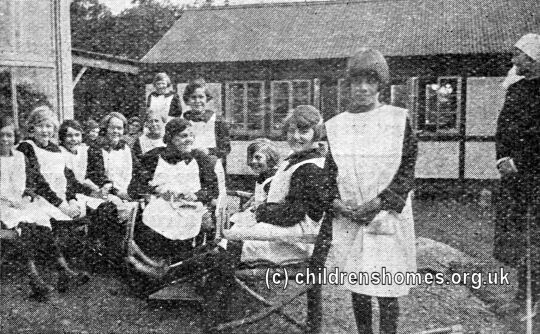 The girls could also participate in the Girl Guides or Brownies — the Winchmore Guide Company had the distinction of being the movement's first disabled Company. 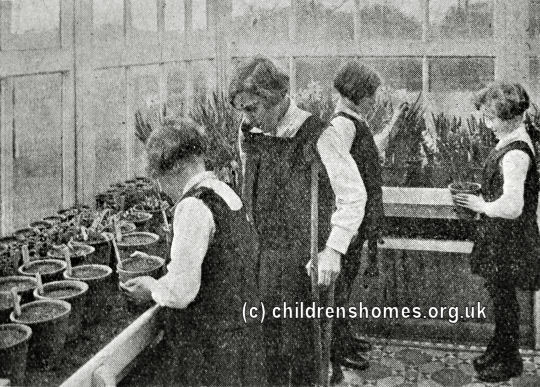 The home had a large greenhouse where the girls could learn horticultural skills. At the outbreak of the Second World War in 1939, the girls were evacuated to the L.C.C. Residential School at Chipping Ongar (the former Hackney Union Cottage Homes). The following year, the were moved to 'Lavernock' on Halden Road, Torquay. 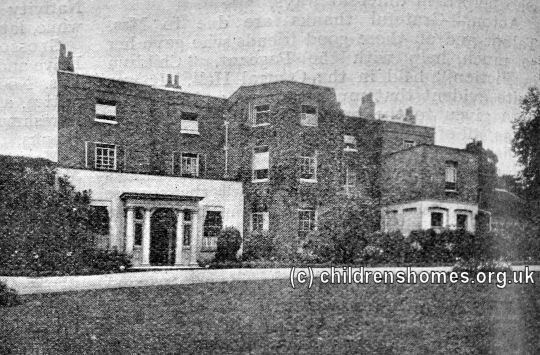 The Halliwick School re-opened after the war and became known as the Halliwick School for Physically Handicapped Children. A major renovation of the building was carried out in 1950 and a new chapel was opened in 1963. The School became mixed in around 1973. In the mid-1970s, a new Education Unit was set up to help young people with mental and physical disabilities to learn skills that would allow them to live independently as adults. In 1981, as part of the project, a number of small community houses were built in the Halliwick grounds for students to live in. The scheme was taken over by the Invalid Children's Aid Association in 1984. Halliwick no longer exists and modern housing now covers the site. The National Archives, Kew, Richmond, Surrey, TW9 4DU. Also has a few files relating the home.